Chipolopolo coach Sven Vandenbroeck has sounded war drums ahead of tomorrow’s clash against Guinea Bissau saying it is an ‘’all or nothing” affair. 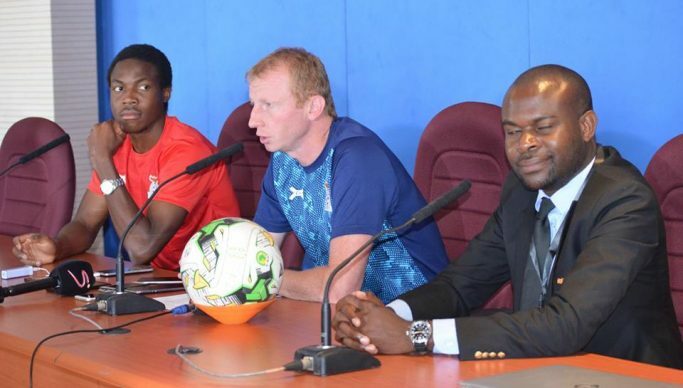 During a pre-match press conference at National Heroes Stadium, Vandenbroeck said Zambia needed maximum points from both matches against Guinea Bissau to be firmly in charge of their destiny or reap four and remain with a chance for qualification. “The two games for us against Guinea Bissau are crucial, we do not have to lie about it. It is all or nothing, with zero points we are totally out, with three, we will be depending too much on other results,” he said. He also weighed in on high expectations across the national football spectrum. “I want to come back on the issue of expectations. Everyone has preferences, everyone has expectations but expectations many times lead to disappointment especially when it is based on emotions, you have to make decisions based on what you see and facts, not about what you are feeling and love to see,” said Vandenbroeck. The two sides meet, with Guinea having denied Zambia a ticket to the 2017 Africa Cup of Nations after a goalless draw at the Levy Mwanawasa Stadium and a 3-2 win at home. Guinea Bissau is in joint top position with Mozambique on four points after two rounds of matches while Zambia and Namibia have a point each.